As a way of explanation, let us assume that all the many variants of the surname come from one unique family (or a few!). The earliest parish records from 1540 or so show just two family groupings, one at Aughton and one at Croston in South West Lancashire. These villages are about 10 miles apart. It is obvious that the surname was created some years before then (say 200 years or so). The place of the origin of the name has not been identified. Owing to the time lapse, the surname in 1540 cannot be regarded as in the initial form. However, (with some exceptions) the form over the years is consistent in containing the letters H S N and P. The vowels used were generally A or E. Also there was often an R in the sequence. We may take HA**SN*P* as a general form or framework of the surname. As explained many times, our ancestors were in general illiterate, ie they could not read or write. This was common until the mid 19th century. The spelling of the surname was determined by the local clergyman, whenever the family had a marriage, death or christening. This would not have been too much of a problem if the family stayed in one place eg Aughton. The continuence of a family associated with the same local church would have created some consistency in the surname spelling. There would have been some variation with the coming and going of clergymen, but it would have been easier to track through family records. However, people being people, the young men left home to seek pastures new. Some got married elsewhere. They couldn`t spell their name, so new varieties of the name were created by the local clergyman. The further the HA*SN*P*s travelled, the more numerous the variations became. Over time, education improved and more people would have been able to spell their surnames (and to sign registers).The form that was eventually taken would depend upon the accepted version at that location at that time. The date this occurred will have depended on matters such as the educational background, or even the people the family mixed with. Thus, the Haresnape form was more or less established by about 1650 at Cockerham, (about 40 miles to the north of Aughton) with a Hairsnape side-line developing from this at Lancaster/Blackburn in 1800. The version Hearsnep did not "settle down" until about 1800. There appear to have been other lines leading off the surname mixture eg Harsnip appearing in the county of Lincolnshire in 1685 about 150 miles away from the Aughton area . This created a lineage of Harsnips. Thus we will not find, however much we search, a continuous record of the Hearsnep variant of the surname back to 1540. The earliest appearances of the Hearsnep variant occurred in Lancashire. It should be noted that the earliest recording in 1720 has not been established as the starting point for all Hearsneps-it might be that the variant spelling has arisen in different family lines at different points in time, some spellings being transient, while others produced some permanency. Here are some early occurrences of the name, with comments. 1. About 1720? William (510) who was a Catholic, signed his name at his marriage as Hearsnep. He is connected to the main Haresnape family tree at Thurnham (Cockerham parish) Lancashire as indicated in the main text, and seems to have been educated to a standard as he was also the administrator of his father`s will. He had at least one child, Anne. 2. Also about 1720, William`s brother Robert (520) may have been referred to in the Catholic Record Society vol 5 as having a son William Hearsnepp (715). - See main text. Cockerham is about 25 miles from the Walton le Dale area discussed below. The persons concerned were of the Catholic Faith, as were several of the Hearsnep families shown below. It is not suggested though that these persons were direct ancestors of the Hearsneps at Aughton. 3. In about 1712 a Rodger Haresnape marries Alice Wilcock at Walton le Dale, Alice dies as Harsnape in Melling in 1737. ( The Haresnape spelling of Roger in 1712 may only imply a local parish variation, not link him directly to the Haresnape family). Rodger (a shoemaker) and Alice lived at Melling near Liverpool where they produced at least 7 children. The surname of this family unit at Melling varied in the various records over the years as Harsnep, Harsnap and Harsnepe. n.b. Melling is only about 3 miles from Aughton. 4.Thomas Harsnep, a farmer aged 78 dies and was buried in 1808 at St. Michael Church, Aughton. Thomas therefore born about 1730 (a son of Rodger perhaps?-see above in 1.). 5. Notes that in the USA Federal census for Baltimore, 1810, two Harsnepes were recorded (one a doctor). This then would be the earliest known record of members of the Ha*sn*p family who emigrated to the USA from England. This would be the first permanent appearance of Hearsnep spellings in this locality. Note that the Hearsnep family were not missing during the eighteenth century. It is merely that as per the Haresnapes etc., the parish clergymen would not have known the "correct" version. Sometime around 1800 (perhaps in the Aughton/Melling area) the family surname was spelled in the version Hearsnep/Hearsnip, and this was retained. The dialect would have caused some trouble with the exact spelling of the last syllable. The burial records for the Aughton Parish Church of St. Michaels in the years 1794 to 1808 give two spellings Harsnep and Hearsnep. It seems reasonable that these were spelling variants of the same family or closely related families. Here is a draft of generations down from Rodger Harsnep of Melling, Lancashire. The continuous line down to the Hearsneps at Aughton has not been proven. One of the family units, although living in Aughton chose the Church of St.Anne at Ormskirk for the baptism of their children. This may have been for personal reasons, but has led to some difficulty confusion with research. A Thomas Harsnep "Old Thos Harsnep" is recorded aged 80 in the burial records for St.Anne`s R.C.Church, Ormskirk.We might guess that he is of the same family as the Harsneps who feature in the same parish records-see below. Rodger, a shoemaker, marries Alice Wilcock at Walton-le-Dale (about 20 miles to the north of Melling). Roger and his wife return to Melling to raise their family. Melling is about 3 miles from Aughton. Rodger is also known as an Innkeeper. A reference to this may be seen here. He is also recorded as a chapelwarden in 1731. Alice died in Melling in 1737, aged say about 50. Rodger died in Melling in 1767, aged say about 80. All of these had the surname Harsnep. John 1713, a husbandsman (ie a type of farmer or a keeper of cattle/animals) married ?, and the couple stayed in Melling and produced at least 6 children. Prior to this John seems to have had an illegitimate child Robert with Ann Spencer in 1736, so it is assumed that John subsequently married Ann.Children at (8a). John is also recorded (like his father) as a chapelwarden in 1754. He died in Melling in 1757. Rodger seems to have worked as a shipwright. Alice1726 died in 1728 in Melling. Alice1730 seems to have died unmarried in Melling in 1766 aged about 36. Thomas 1732 is believed to have continued in his father`s trade of shoemaker. Thomas seems to have had an illegitimate child born 1756, with Jane Sixmith. He later (as Arsnip) married Jane at St.Michaels Church Aughton in 1757. The couple presumably lived in nearby Melling where they raised at least 4 children (8b). Jane died in Liverpool in 1788. There is a death of Thomas Harsnap, shoemaker at nearby West Derby, Liverpool (near Melling) in 1801, (no age shown), and this may be him. Ann (Harsnepe) married Thomas Bradshaw at Melling in 1767. It now appears that Thomas 1720 married Dorothy Someone. Their children are shown below in Eighth generation (8c). There were burials of several children to a Thomas Harsnip at St.Peter and Pauls Ormskirk The spelling of the surname Harsnip was consistent. The last three burials were for the same Christian name Margaret. It has now been decided that these were the children of Thomas 1720 and Thomas 1730 (see below 8c and 8d). nb. The church of St.Peter and Paul is of the Church of England. At this date, Catholics were not usually buried in Catholic Church graveyards. 7c.Children of ??? in Aughton, Ormskirk Area. Thomas married (as Harsnip) at Halsall, Lancashire 1759 to Elizabeth Rueson, and presumably lived in the Aughton area where their children were born. (see 8d). Thomas was probably the farmer Thomas Harsnep who died aged 78 and was buried at St.Michaels Church, Aughton. Matthew appears in the Ashton in Makerfield area of Lancashire in 1765 as parent. No baptism record for Matthew at present, nor any details of marriage. Year of birth possibly 1740 or so. His children are shown in 8f. All of these were given the surname Harsnepe. Henry died aged 14 in 1756 at Melling. Esther gave birth to two children (9a) who were baptised at Melling. No father`s name was given. Esther died in 1784 and was buried in Melling. (St.Thomas). Rachel died in infancy in 1754 at Melling. T.550 James b. 1758 Melling. T.580 Thomas b. Melling ? T.590 Alice b. Melling ? John Harsnepe died in Melling in 1759 aged two years. No further information on James Harsnepe. Thomas died in 1774 in Melling. He would have been quite young. Alice (perhaps named after her grandmother) died in nearby Liverpool in 1788, soon after her mother Jane. She was buried at St.Thomas Church, Melling. The baptism of James has not been found. I have placed him with this family. It is known that a James Harsnip, son of Thomas was buried at St.Peter and Paul`s Church Ormskirk in 1745. The mother`s name not given. Ann was baptised in December 1745 (as Arsnep) at St.Anne`s Roman Catholic Church in Ormskirk. godparents John Standish and Sarah Welch. She may have died in 1845 and was buried at St.Peter and Paul`s Church in Ormskirk, where father named as Thomas Harsnip, mother not recorded. Thomas Harsnip was baptised in October 1753 at St.Anne`s R.C. Church in Ormskirk. nb. I had three Margaret children allocated to this family. They have now been moved to the children of Thomas 1730 and Elizabeth Reuson 8d. T.680 William b. 177odd, at unknown place? T.700 Margaret ? b. approx 1770 abode Ormskirk? There is a record of Jane, John and Thomas baptisms at Aughton (St.Michael?) as Arsnip. However for John, Thomas and Margaret there are also baptisms recorded at St.Anne`s Roman Catholic Church in nearby Ormskirk. Thus, there is a more than a little confusion created in the research. The R.C of St.Mary at Aughton was not built before 1798, so any Catholics before then would have had to attend their nearest church which would have been St.Anne`s (a bit of a walk- I expect they rode there). Jane (of Aughton)-, married as Harsnip to William Coxhead at St.Peter and Paul`s Church Ormskirk in 1779. John 1762 was born to Thomas and Elizabeth Harsnip of Aughton (parish spelling as Oughton). The baptism was recorded at the Roman Catholic Church of St.Anne in 1762, and the godparents were Mary Bullen of "Bursco", and Edward Kershaw of "Oghton". John married Mary (Molly) Hurst daughter of Joseph and Margaret Hurst, in January 1804, at St.Peter and Paul`s Church in Ormskirk. (nb 4) The marriage was also recorded in the records at St.Anne`s R.C.Church nearby, therefore their faith was Catholic. His surname was spelled as Arsnep at the wedding. eg: Jan 1804 were married John Arsnep and Mary Hurst in the presence of John Hurst and Ann Hurst by me James Talbot. John and Molly were known as Harsnop on their son Thomas`s baptism date in 1806, but as Harsnep at son Joseph`s baptism in 1807, both at St.Anne. Mary Hurst was born in about 1770 and she was baptised in July 1770 at St.Anne`s Roman Catholic Church (nb3). It would appear that from about 1762 both the Harsneps and the Hursts were parishioners of this church. This feature was also found in the various christenings of the Stocks and Bullen (and other families) at this church and at the Catholic Church of St. Mary`s, about two miles away. The Stock family were associated more with the St.Mary`s Church, and the Harsneps and the Hursts with the St.Anne Church, although there was some overlap. John and Mary (Molly) Harsnep produced several children (see below in section 9b). John, a farmer of Aughton died aged 60 in 1822. He was buried as John Hearsnep and a Roman Catholic at Aughton, St.Michaels Church. His wife Mary died in 1841, aged 71 and she also was buried as a Roman Catholic at the same church in Aughton. Margaret 1762 (no baptism record) died in 1762 and was buried at St.Peter and Paul`s Church in Ormskirk. Father Thomas, mother not named. Thomas son of Thos and Eliz Harsnip of Aughton was baptised in Sep 1765 at St.Anne`s R.C. Church, Ormskirk Godparents were Margaret Davis and Henry Morecroft. Nov 1794 were married Thomas Arsnep and Eliz Barton in the presence of John and Alice Balshaw by me George Crook.There is a reference to a Hearsnep-Barton connection in the Canadian branch of the Hearsnep family history. I have included Thomas and Elizabeth as parents in Generation 9c/d. below. Margaret Harsnep daughter of Thos and Eliz of Oughton was baptised 6 Oct 1765 at St.Anne`s R.C.Church. Godparents Thos Molineux and Margaret Davis. Margaret is thought to have died in infancy in 1765 and buried at the church of St.Peter and Paul in Ormskirk. Mother not named. nb. I have assumed that Thomas and Margaret were siblings (likely twins) born 1765 of the same parents Thomas and Elizabeth. The twins were baptised a few weeks apart, the reason unknown. I have not assumed at this time that they were from different parentage. William 177odd - no baptism record at present. It is unclear if he is from this family or is William Harsnepe born 1778 see 9a. If we assume the former, we have no baptism nor marriage record, but we have these for William Harsnepe (T.740). I will assume for now that William 177odd (T680) was the one who married Margaret Rixon. Their children are shown below in 9d. James Harsnip son of Thos and Eliz Harsnip of Oghton was baptised in March 1771 at St.Anne`s R.C. Church, Ormskirk. Godparents James Kershee (Kershaw?) and Margaret Harsnip all of Oughton. A James Hearsnep, age 28 son of Thomas Hearsnep was recorded as buried 1799 at St.Michaels Church Aughton. (note the appearance of Hearsnep spelling). Margaret 1770 (no baptism record) may have died in infancy for there is a burial record of a Margaret Harsnip at St.Peter and Paul`s in that year. (father Thomas Harsnip. mother not shown). Margaret daughter of Thos and Eliz.Harsnip of Oghton was baptised May 1774 at St.Anne`s R.C. Church, Ormskirk. Godparents were William Johnson and Elizabeth Kershaw of Oghton. nb1. The Roman Catholic Church, in which John Hearsnep could have worshipped, was then called New House Church, Prescot Road, Aughton. It was founded in 1798 but did not have a graveyard, and the deceased would have been buried in the nearest Church of England Parish Graveyard which would have been St.Michael`s at Aughton, about 1.5 miles away. Note that no records have been found for Hearsnep baptisms etc. at this church-the family apparntly choosing the Catholic Church at Ormskirk (St.Annes). nb.2 Prescot Road is also where some subsequent Hearsneps lived and were recorded in the 1861 census. nb.3 About 2 miles North of New House Church, also on Prescot Road stands St.Anne`s Roman Catholic Church (Ormskirk). This parish has a history going back to 1732, and one might expect that John and Mary would have been buried there. However, religious rules at the time may have prevented this, and their nearest C of E graveyard seems to have been St.Michaels, Aughton. nb 4. St.Peter and Paul`s Church (Church of England) is in Ormskirk and about half a mile north of St.Anne. Both Alice and William were baptised at the parish church of St.Thomas at Ashton in Makerfield, Lancashire. A William Hearsnep, farmer, lived in the Haslingden area of Lancashire, probably before 1833. I now suspect he may be the son of Matthew Harsnepe and baptised in 1770. He raised a number of children, one of his possible children was Matthias (very unusual but if correct, named after his grandfather). William died in 1850 aged 80 at Priestenax, Haslingden. The surname was spelled in the Haresnape form. The informant of William`s death was Margaret, perhaps his daughter (see below in 9e generation). These children were perhaps born out of wedlock. It is not clear if William married Margaret Rixon in 1799 at St.Nicholas Church Liverpool or not (there is a William son of Thomas Hearsnep and Elizabeth Reuson who would also fit the marriage) . The children are shown in 10a. (Melling is now part of the city of Liverpool). Mary married John Wright at Melling, in ?. John was a husbandsman as per Esther`s father. The reference to a daughter Mary here has been removed to Children of Unknown Parents. Thomas was christened on 12 Jan 1806 at St.Anne`s Roman Catholic Church (which is about 2 miles north of Aughton) as Harsnop (son of John and Mary). The godparents were Ann Hurst and Thomas Spencer. In 1851 Thomas is believed to have been residing in Bickerstaffe near Ormskirk. He is understood to have married a Mary (possibly Rilance in 1827 at Our Lady`s, Lydiate). She was born in 1802 in Sherringham, Lancashire. The possible children are shown in 10a. The 1861 census has the couple at Prescot Road in Aughton where Thomas was a farmer of 14 acres (presumably he inherited his father`s farm). There were no children in the house, but there was a houseservant named Mary Ganon (born in Ireland). Perhaps Thomas`s wife was a little infirm at this time, for she died prior to 1864. (believed to be March 1863). In this year 1864, Thomas (as Hearsnop) married his houseservant Mary in St.Anne`s Church, Ormskirk in 1864. She was born in County Mayo, Ireland in about 1831. They had at least 3 children (shown in 10c). These were probably raised in the Catholic faith. In 1871 the family was living in Aughton where Thomas was a Market Gardener. In 1881, his widow Mary and youngest son Thomas were still living in Prescot Road, and Mary was listed as a Market Gardener. There was also Mary`s niece (from Ireland), and two boarders. Mary died in 1900 Ormskirk district. Joseph ( born 3 June 1807, and christened with Arsnep surname at St.Anne`s Church, Ormskirk, godparents Peter Hurst and Ann Hurst). Joseph (of Burscough) was included in his father`s will in 1823, but was named there as a pauper lunatic, and the executers of the will were instructed to duly arrange for his admittance to Lancaster Lunatic Asylum. (not too attractive a bequest). Joseph would have been aged about 16 at this time. Joseph married Elizabeth Someone, who was some 21 years older than Joseph. Elizabeth died in1860 aged about 74, and Joseph went to live at his married sister Margaret`s home in Lydiate, Lancashire. He is seen here in 1861 with the family of Joseph Lockett. Joseph Hearsnep was described as an Agricultural labourer. Joseph Lockett was a gardener, his wife Margaret aged 47 also being born in Aughton. Lydiate is only 1 mile from Aughton. (Note that Joseph`s older brother Thomas 1806 is also thought to have married his first wife at Lydiate). Joseph died aged 58 in 1865. James 1807. Record for St.Anne Church Ormskirk: May 1809 was bapt.James son of Jno and Molly Harsnep, sponsors Joseph and Alice Hurst. James (assumed to be this James) became a Catholic Priest. James John Hearsnep was admitted to the Catholic College in Lisbon, Portugal in August 1824. He left there in 1834 to go to Old Hall College, where he was a priest (perhaps this St.Edmund`s College at Wear in Hertfordshire). He left Old Hall in July 1836 to serve as a priest in the East End of London until about 1860. He was involved in the design and construction of the church there, SS Mary and Joseph. He was known as a missionary rector. While visiting Waltham Abbey in 1861 he had an accident, and sadly died of his injuries. His will named his sister Margaret as a beneficiary. n.b. The church was bombed by German aircraft in the Second World War and destroyed. Ann Harsnep was christened at St.Anne`s Roman Catholic Church on 20 Feb 1811, and the godparents were John Lowe and Ellen Hurst. She married Henry Formby in 1846 in Ormskirk. Henry was born in Chorley. He became a Wholesale Milk Dealer and his wife and children were living in the Islington area of Liverpool (Clayton Street) in the census years of 1851, 1861 and 1871. Ann died 1873 in Liverpool aged 62. Note that the occupation of Milk Dealer in Liverpool is the same as for Peter Hearsnep (T1160), who is presumably closeley related. Henry and Ann Formby had several children born in Liverpool area, Mary Alice born 1847, John Joseph born about 1850 and Henry born in 1851. Mary Alice and Henry were baptised at Liverpool Roman Catholic Cathedral. No data as yet on John Joseph`s baptism record. Mary Alice Formby died in her infancy, aged 9 months. She is recorded on the gravestone of her uncle Joseph and aunt Elizabeth in the churchyard of St. Michaels in Aughton. There is no clear reason for this at present. John Formby became an Ironmonger and married a local girl Annie or Anastasia in 1872 who died only five years later. John seems to have changed his occupation to a General Labourer and living as a lodger in various areas, and died aged 59 in 1907 in the Warrington area. Henry Formby followed the vocation of his uncle James (Hearsnep) and became a Catholic Priest. He studied at the seminary of Ushaw in Durham, and in 1881 is seen at St.Bede`s College in Withington, Lancashire.click He appears to have been a professor teacher / lecturer there, staying until 1887. However his health was failing him and he became chaplain to the Daughters of the Cross Convent at Bury, where, after a short illness in 1890, he died aged 39..
Margaret was christened 9 August 1813 at St.Anne`s Roman Catholic Church, godparents were Alice Forshaw and Thomas Leadbetter. She married Joseph Lockett in 1846 in Liverpool district. She was named as Hersnip at the marriage. Margaret 1813 was a beneficiary in her brother James(the priest)`s will. Mary was baptised in January 1796 at St.Annes R.C. Church in Ormskirk. Parents Thos and Eliz Harsnep, sponsors were Ralph Foreshaw and Alice Balshaw. Thomas was baptised March 1799 at St.Anne`s R.C. Church in Ormskirk, parents Thos and Eliz Harsnep, sponsors were John Harsnep and Alice Forshaw. (nb. John Harsnep may well have been Thomas`s brother-see above in 8d.). Note also that the Forshaw family acted as sponsors at a number of the Harsnep baptisms. e.g.Ralph Foreshaw for Mary 1796, Alice Forshaw for Thomas 1799 and also Alice Forshaw for Margaret 1813 (see 9d). Now, it is known that Elizabeth Hearsnep married Arthur Forshaw in 1829. Also an unidentified Jane Harsnep married Richard Gerard at St.Anne`s in July 1834 in the presence of Maria Forshaw.. Thus the Forshaws may be of the same family unit and close friends of the Harsneps in at least the years 1796-1834.. There is a burial recorded at St.Michael`s Church in Aughton Oct 1800 for Thomas Hearsnep aged 18 months old dying from measles, and this is assumed to be this Thomas 1799. It is possible (but less likely) that he was another son of Matthew above in 8f., as Ashton in Makerfield is only a few miles from Wigan. Margaret baptised in Sep 1803 at St.Anne`s R.C. Church Ormskirk. Daughter of Thos and Eliz Arsnep, sponsors Jno Arsnep and Ellen Maskew. Robert was baptised in January 1806 at St.Anne`s R.C.Church Ormskirk. Son of Thos and Betty Harsnep, sponsors Thos Spencer and Ann Hurst. James was baptised in Nov 1807 at St.Anne`s R.C. Church Ormskirk. Son of Thos and Eliz.Harsnep, sponsors Robt. Pope and Frances Leigh. This James may have married Alice "Someone"., for in Jan 1829, at St.Anne`s Church, "Was bapt. Ellen of Jas. and Alice Heayship, sponsors Patrick Knowland and Ann Harsnip"
Edmund was baptised in May 1812 at St.Anne`s R.C. Church Ormskirk. Son of Thos and Eliz.Harsnep, sponsors Jas Green and Sarah Blundell. T.900 Mary Hearsnep b. 1806? T.920 Robert Hearsnep/Harsnape b. 1811 Lancashire??? Elizabeth: St.Anne`s R.C. Church Aughton, Apr 1802 "Was bapt. Eliz:daughter of Wm. and Margt. Arsnep, sponsors Jno and Eliz.Arsnep". An Elizabeth Hearsnep married Arthur Forshaw in Wigan, Lancashire in 1829. By 1881 she was a widow and was living at the home of her brother Thomas, a farmer of Walton-le-Dale, Lancashire. Margaret: St.Anne`s R.C. Church Aughton, Feb 1804 "Was Bapt. Margaret dr. of Wm and Margt. Arsnep spon Edm Linaker and Mary Arsnep"
Margaret (parents not known) married as Harsnep at St.Peter and Pauls parish church in 1823 to Peter Stock. Marriage also recorded at St.Anne`s, sponsors Matt Smith and Ann Jump. Peter is perhaps the brother of James Stock who emigrated to Canada in 1830. He was to become related to the unknown William Hearsnep. This tends to support the idea that William had come from this area of Lancashire. Thomas would not appear (from his age at census) to be son of John Harsnip and Mary Hurst. He seems to have married Mary Ann Platt and they had at least one child. It is believed that Mary died and in 1848 at St. Peter`s Roman Catholic Church in Liverpool, Thomas married Ann Anderton of Withnell, Lancashire (Withnell is only 2 miles from Whittle le Woods). By 1851 they were living in Liverpool and also in 1871, living in Gill Street where both Thomas and his son Peter were recorded as Cow Keepers. In 1881 they were living back in the countryside about 5 miles from here in Walton le Dale, near Preston Lancashire where Thomas was a farmer of some 8 acres. (perhaps Thomas operated between his farm and the Liverpool milk business). He is also mentioned in a newspaper in 1884 at Kellet Lane Farm, Walton le Dale. Thomas`s children are shown in 10f. The baptism for Mary has not yet been found. Therefore not a daughter of John Harsnep and Mary Hurst. Mary died in 1829 aged 23. (therefore born about 1806). She was recorded as from Ormskirk (a short distance from Aughton) and was buried as a Roman Catholic at St.Michaels Church, Aughton. James: St.Anne`s R.C. Church, Jan 1808 "Was bapt. James, son of Billy and Margt. Harsnep". James (aged about 30) married Catherine Wakefield of Aughton, in 1849 in Ormskirk district.Catherine seems to have been born about 1810. James was a gardener in 1851 living with his wife and daughter Mary in Aughton. In 1861 they were still at Aughton but her brother was also in the home. James and Catherine had at least one child. (see 10d.). In later years James and his family went to live in Hoole near Preston. James Hearsnep died in 1879 at Longton, Preston aged 70. His widow and her daughter Mary are living at Moss House, Much Hoole in 1881. In 1883, Catherine as his executrix, had to go to court in Preston to claim for a sum of money which was held dormant in a bank account. The money had been left to James by a brother who had predeceased him. The quest by Catherine was successful. As is the case for Thomas and James, Robert does not appear to be a son of John Harsnip and Mary Hurst. Robert’s birthplace is not known for certain but was in the general area of Chorley/Hoghton Lancashire. The census records for 1841 onwards give various locations for Robert`s birth ie Chorley for 1851, Hoghton for 1861, and Ormskirk for 1881. It is clear Robert was illiterate but his surname through the census years was given as Hearsnip, Arsnip, Harsnape and finally Hearsnep. If an error had occurred in registering Hoghton instead of Aughton, the latter being near Ormskirk, this would tie in with the birth of Thomas (see below)..
Robert married in 1828 at Leyland, Lancashire to Grace Montgomery. Grace was born in nearby Walton-le-Dale and was of a similar age to Robert. The couple lived in the hamlet of Lower Copthurst, near Brindle, Lancs. and produced at least 8 children (see 10e) over a period of some 23 years. Robert was initially a farm labourer but by 1881 became a farmer with about 30 acres. Here, he and his wife and their unmarried son John lived at Copthurst House in Brindle. It is suspected that the family followed the Catholic faith and there is a church in the vicinity which was known as South Hill R.C. Chapel (now St.Chad`s). Robert and Grace lived on into their seventies. (Robert probably died at Brindle aged 76 in 1886). nb. Robert and Thomas seem to have been closely related (and thus have been placed as brothers in the same family group), for Robert`s grandson Richard Gilbertson aged 12 was visiting Thomas`s son`s Peter` home in 1881. T.960 Matthias Hearsnip b. 1815?. T.980 Jane Hearsnip ? b.
because of his age at death, the father William does not appear to be the William born 1778 who married Margaret Rixon. James and Margaret were brother and sister. no baptism records have yet been positively identified. James is living in Priestenax (Farm) Haslingden in 1851, unmarried and a farmer. His age is not clear, nor the place of his birth. His sister Margaret, aged 40 also unmarried was there with James`s nephew Henry aged 18. (i.e. born 1833). It is conjectured, not proven, that this Henry was Margaret`s son. A Henry Hursnip married Mary Fenwick at the parish church of St.James Church, Haslingden in 1854. The farm was up for sale in 1857 and was described as "a messuage, farm and tenement, 35 acres in the township of Haslingden, and in the holding of James Hearsnep." i.e. James was the tenant. James may have married Jane Parkington in 1887 in the Blackburn district. Margaret (as Haresnape) was informant at the death of William Haresnape aged 80, at Priestenax in 1850. William was formerly a farmer, and would have been born around 1770. Presumably, Margaret and James would have been his daughter and son. Margaret in 1851 was a dairymade at the farm. Matthias, was perhaps named in memory of his grandfather Matthew. Matthias, a quarryman married Anne Rothwell. in May 1834 by license at St James, Haslingden, Lancashire. Matthias Hearsnape was of Priestintax and Anne was of Dillymoor. They continued to live in the Haslingden area. The occupation of Matthias is very similar to that of James 1090 and John 1100. Indeed James was to move from the Brindle/Whittle area to Blackburn. This suggests a strong link between these family groups, so Matthias is included here. His children are shown in 10g. I have placed Ann here as a possible daughter of William or ? as an Ann Hearsnip married John Rawston in 1842 in the Hyndburn district, which is a few miles from Haslingden. It is noted that in 1851 at the Hearsnip Farm that one of the servants there was a Thomas Rawstron, and the neighbouring farm belonged to a Rawstron family. I have placed Jane here as a possible daughter of William or ?, as a Jane Hearsnip married George Rawcliffe in the Blackburn district in 1855. The surname spelling and the area are similar to her (siblings). nb.1.The writing on the 1851 census for Margaret and James is unclear. NOTE: this is an attempt to group together unlinked Hearsneps into family structures. There are at least two, possibly three individual family units at around 1800 -1815. The evidence for the grouping is not absolute, but is plausible. It may be that the fathers of the Groups were brothers. The persons above may not belong to the particular groups shown, and they may be interchangeable between groups. Clearly however there are two James Hearsneps who cannot belong to the same parents, and the priest James has a sister Margaret who is therefore placed in the same family unit Group A. There also seem to be two Thomas Hearsneps in the same generation, one of whom had a sister Elizabeth, therefore they have been placed together in Group B. 10a.Children of William Harsnepe 1778 and Margaret Rixon(T.740) ?? James (b.1800) Harsnep is the son of William and Margaret Harsnep. He died aged 8 and was buried in the Parish church of St.Michael in Aughton (burial record). T1000. Mary b. 1836 probably Aughton. Mary died aged 9 in 1836 and was buried as a Roman Catholic at St.Michaels Church in Aughton. (as Hearsnip). I have placed her in this family unit as it seems the most plausable. These children were probably raised in the Roman Catholic Faith. Ann no further details at present. She was living with her parents in 1871 aged 7, (at Prescot Road) but does not appear in the home in 1881. She is believed to have died in Dec.1878 (aged 14) Ormskirk Reg. District. In 1871 John was living with his parents, but in 1881, aged 14, he was a Farmer`s Gardener at Melling in Lancashire. (This was next door but one to the Hen and Chickens Public House). In 1891 he was at Prescot Road, Aughton living in four rooms. In 1901 he was also at a Prescot Road address. He married Clara Ann Diaper (ne Stammers) in 1902 in St. Mary`s Church, Walton on the Hill, Liverpool. Clara was a widow aged 35 from Everton. Clara`s father was an accountant. It would appear that John died in Liverpool, but Clara died in Toronto Canada in 1908? nb1. Melling is only about 3 miles from Aughton, and very close to the course of the famous Grand National. Indeed, Melling Road runs across the course. nb2. Walton and Everton are adjacent districts of Liverpool. Thomas married Dorothy Halewood in 1902 in the Ormskirk district. They had at least 3 children (T1230). In 1909 the family emigrated to Canada. Thus there is a link here to William who had settled in that country in 1830. It is anticipated that Thomas`s father would have known of this previous emigration if William was in the same family group. T1040. Mary Wakefield Hearsnep b. 1848 Aughton. Mary is seen in 1851 aged 3 living with her parents at Aughton. Mary married James Harrison in 1895 at the parish church of St.Michael in Hoole, Lancashire. Hoole (Much Hoole) is near Preston. Henry married Ellen Someone from Pendleton, Manchester. The various census data is confusing. The dates of his birth vary between 1827 and 1833, and his place of birth as Eccleston, Chorley and Whittle Le Woods. However, Whittle is part of Chorley, and Eccleston is nearby. In 1871 Henry was employed as a coachman. He and Ellen were in a room above a coach house (at Woodlands) at Little Woolton, a district of Liverpool. His occupation at that time would probably have been a private coachman to Henry Jump a wealthy Corn Merchant. Henry Hearsnep`s type of employment has been noted before, regarding another Hearsnep. Henry`s birthplace was given as Chorley. In 1881 Henry is shown as unmarried (!) but still a coachman and in the service of a household at Eccleston (Springfield House). Note that in the household there was a servant Sarah Snape aged 68 (who may have been related to the Ann Snape who married Henry`s brother James. In 1891 Henry and his wife Ellen were back in the Chorley area, where he was employed as a gardener and domestic servant. His birthplace was given as Whittle-le-Woods. Ellen probably died aged 68 in 1897 at Nelson (near Burnley, Lancashire). nb.1 Noble families, or prosperous gentlemen owning country estates often had coach houses built in the grounds of their properties. These were to house their coaches and horses. Above the coach houses there were rooms where the coachmen slept. The coach houses were sturdily built of stone or brick. Many of these, in one form or another have survived to the present day. n.b.2 Henry Jump was a Roman Catholic, and at the time of the 1871 census there was a Priest listed in his home. In 1841, an Elizabeth Hearsnep aged 10 was included in the household of an Elizabeth Hearsnep aged 69, who was running a lodging house in Ormskirk, Lancashire. Perhaps the older Elizabeth was her grandmother i.e.Elizabeth nee Barton?. She would have been born in 1772, but it is unknown if she was born as a Hearsnep or married into the family. Robert married but remained in the Whittle-le-Woods locality. He probably married Elizabeth Spencer in 1857 in the Chorley district. Like his brother James (see below), Robert was also known as Arsnip at the wedding. The couple are believed to have had some fourteen children,(T1260) mostly girls. Elizabeth had died by 1901. The census for that year has Robert aged 65 and living with 7 adult children in Chorley Old Road. Robert started work as a carter but by 1901 was a joiner and contract employer, two of his sons apparently working for him. Margaret married a William Gilbertson in 1859 in St.Patrick`s Church, Liverpool. William Gilbertson, a butcher, was born in 1832 in Chorley, so this suggests the couple may have known each other prior to the move to Liverpool. They produced 9 children (T1400). The family appear to have been Catholics. James was registered as Harsnip at birth. Later (as Arsnip) he married in the Chorley district in 1861 to Anne Snape (born Wheelton, Lancashire). James was a stonemason. Initially the couple lived in theWheelton area (a short distance from Whittle le Woods) where two children were born (T1570). The family moved in about 1865 to Witton near Blackburn where the couple settled. It seems that a further eleven children were born here (Anne`s father James was with them in 1871). However Ann must have died sometime after then (most likely in 1885 aged 43 at Witton) and he wed again to a Jane Parkington (a widow? ), for in 1891 James and Jane were living in Blackburn with at least his daughters Annie and Jane Alice aged 9.Also in the home were James` stepson John Parkington aged 11. Next door lived James` daughter Eleanor with her husband William Fishwick and their two-month old daughter Jane Alice. James as Hearsnep may have been a builder and contractor in Nelson (Caleb Street) and later at Crasdale, Mytholmroyd in Yorkshire in 1891 but became bankrupt in 1895. (Mytholmroyd is only about 20 miles from Blackburn/ Nelson). The business failure seems to have been caused by losing a quantity of money over contracts associated with work on two churches, viz. St. Philip`s at Witton, and St. Peter`s at Blackburn. He then continued with his work as a journeyman stonemason. In 1901 James and wife Jane were residing with two of his younger children (Ann and Jane) at 34 Hawkeshead St., Blackburn. James was employed as a stonemason journeyman. Also in the house were his son in law, a William Fishwick and William`s daughter Jane A. Fishwick. James may have died, as Hearsnep in Blackburn North in 1913 (age given as 71). His wife died in Blackburn North in 1912 (age 69). Jane was James`s granddaughter. William was a widower. Also in the house too was another granddaughter of James. This was Clara Cotton. This was probably the daughter of Mary and her husband John (Cottam / Cotton). John was registered as Harsnip at birth. He remained single and did not leave the area. He is recorded in the 1901 census for Lower Copthurst, Whittle le Woods. He is aged 56 and a stonemason, his younger unmarried sister Mary living with him as his housekeeper. Grace also registered as Harsnip at birth. She possibly married Frederick Wood in 1873 at Blackburn district. Mary was also registered as Harsnip at birth. Alice also remained single. She took Holy Orders in Belgium, and was known as Sister Mary Withberga. She was a cook first class in several convents, but there were perhaps some other qualifications for she is seen in 1881 as head of a religious establishment in the Sheffield, Yorkshire area. The house seems to have been a teaching college or a lodging for student teachers. Alice died in 1933 aged 82 and was buried in the Convent of Notre Dame, St. Helens. nb. It is thought that James and John may have become stonemasons because of the large quarries (sandstone) in the Whittle area. T1150. Elizabeth b. 1828 Chorley, Lancashire. T1170. Peter b. 1846 Liverpool. In 1851 Elizabeth was living with her father and (stepmother) Ann (nee Anderton), in Liverpool where Elizabeth was a milk seller. In 1851, an Elizabeth Harsnip married James George in Liverpool. Perhaps this was her, as her family lived in the city at this time (Newhall Street). Peter (T1160) was registered as Hearsnip at his birth. Presumably Peter born in 1839 died young? Peter (T1170) married Sarah Jones in 1877, in Liverpool. They had two children by 1881, a further five by 1901 (T1490) by which time Peter had followed his father`s business and become a successful milk dealer in Liverpool. 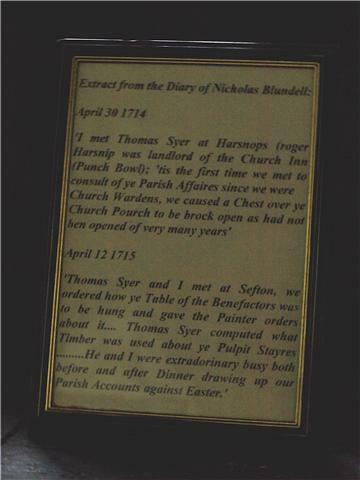 Thomas Hearsnep 1803 may have had another son, i.e. Thomas (T1135) who also came to Liverpool. Unfortunately, there is no certain date for his birth date nor its location, as this was before Civil registration, and the dates calculated from various censuses are inconclusive. He is thought to have worked as a carter, married a local girl Margaret Smith, and they had a number of children (T1481) all born in Liverpool. From about 1851, the censuses show their addresses which were (some street names are still there, though with newer homes), all in the Toxteth Park area of Liverpool, near the South docks. This, like many tightly packed urban areas at that time must have suffered from poor living conditions and health problems. There would have been no main sewers at this time (earth closets the norm) and probably no running water supply. Thomas may have ended his days as a pauper in the South Liverpool Workhouse in Smithdown Road, dying (as Hersnick) at the age of 77. He would thus have been born about 1824. T1190. Sarah Hearsnep b. 1839 Edenfield, Lancashire. Mary may have married (as Earsnipe) to James Hoyle in 1854 at the parish church of St.Mary in Bury, Lancashire. Bury is just a few miles from Edenfield. Sarah was born in Edenfield which is about 3 miles from Haslingdon, Lancashire. Therefore quite likely to be a daughter of Matthias and Ann Hearsnep. Sarah appears in 1901 in Ramsbottom (Pinfold) and a cotton spinner (also in 1881 at same location). She was a single mother and her daughter Margaret Ann Hearsnep, aged 38 was residing in the same house.Margaret Anne was unmarried and a cotton weaver. Ramsbottom is very close to Edenfield. (Margaret Ann was born in 1860 in Edenfield, her birth certificate showing her surname in the Haresnape form, her mother being illiterate). Margaret married in 1866 at Waperley Parochial Chapel, Edenfield, to John Tomlinson, a quarryman. He was aged 20 and she 24 years of age.Margaret`s occupation was not given. The couple were illiterate as was quite the norm in those days. The certificate spells the surname as Haresnape rather than Hearsnep. Henry is shown in 1851 as the nephew of James Hearsnip (T940). Listed as a carter. Henry may have married Mary Fenwick in 1854 at the parish church of St.James Haslingden.They may have moved to the Heywood (Rochdale) district of Lancashire. There were several children born there (T1700). Unfortunately Henry died quite young in Heywood aged 38. It is felt that because a Margaret Hearsnip(aged 63) whose death was in the same year 1868 and in the same district, Henry was likely to have been Margaret`s son. It appears that Henry`s his wife Mary died in Heywood in 1898 (aged 64). James (as Hersnip) married Mary Andrew in 1871 at St.Michael`s Church in Ashton-Under-Lyne. This appears to have been a Roman Catholic Church. There were several children from the marriage (T1750). Margaret became a model, and in 1926, aged 19 she was married to Stuart Archie Simpson, aged 22, a clerk in Toronto. It is also possible that there was another daughter Dorothy, who became a Sister in a Religious Order and was present as Sister Magdalene in a mission in China in 1931. T1260. Mary Jane b. 1858 Leyland district (probably Whittle)-registered as Hersnip. T1270. John b. 1859 Leyland district (probably Whittle)-registered as Hersnip. T1310. Sarah Annie Hearsnip b. 1864 (probably Whittle)- this may be the same child as Annie below! Presumably Mary Jane died in infancy. In 1901 the census shows Robert and six of his unmarried children living in Chorley Old Road, Whittle. At this date, Annie and Alice were employed in the cotton industry. James and William were in their father’s employment as joiners. James (as Hersnip) may have died in 1934 in Ormsirk district aged 74. Grace and Elizabeth seemed to be working from home as dressmakers. Sarah (as Hersnip) may have married William Parkinson in 1888, at the Roman Catholic Church of St.Peter in Liverpool. Ellen was the housekeeper. She married Joseph Edward Heys in 1904 in Chorley district. Margaret became a schoolteacher and appears in the 1901 census in the Leeds area. Note: In 1881 a Richard Gilbertson aged 12 (probably the one above) was visiting the home of Peter Hearsnep and family in 23 Gill St. Liverpool. In 1901, William Jr. was a groom, bus conductor. Robert aged 15 was an apprentice to an auctioneer. T.1483 Margaret Mary Hearsnep b.1855 Liverpool. The spelling of the surnames varied as above, but they were all born in the same area of Liverpool (Toxteth Park) and parents were Thomas and Margaret (nee Smith) Herslep etc. Elizabeth was christened at the Roman Catholic Church of St.Patrick, Park Place, Liverpool. Margaret was christened at the same church. She was married (as Hanslip) to William Lawler in 1874. William lived at Gore Street, Toxteth and very close to the Hearsnep family home. William was christened at the same church.He died aged 2, surname spelled Harsnip. Mary Jane was christened at the same church. She died in 1861, surname spelled Harsnip. Both of these children were buried at St.Oswalds Church. This church (now demolished) was Roman Catholic and situated at Old Swan, some 3 miles from the family home. Thomas - no further information. Jane - no further information. Robert died in 1889 (aged about 18) at Liverpool South Hospital. This family was living in Liverpool in 1901, at 8 Falkland Street..
Mary was born in Gill Street, Liverpool. She may have married Francis Caizergues in 1898 at West Derby in Liverpool. Francis came from a French/Spanish family background, and he was a picture-frame maker and army pensioner. The other children would have been scholars. Sarah may have married at the Registry Office in Douglas, Isle of Man in 1910. Mary probably married John Cottam (or Cotton) in 1887 in the Blackburn district. Their daughter Clara was present in Mary`s father`s home in Blackburn in 1901. Henry seems to have died in infancy in 1866. In 1901, Margaret, Robert, Elizabeth and Ellen were still unmarried and living in the same house in Gallegreave, Blackburn. Robert was described as a stonemason which was the same trade as his father, and uncle John. Margaret and Ellen were employed in a cotton factory. Anne aged 22 and Jane Alice were living in 1901 at Hawkehead St. Blackburn with her father and his second wife . Also in the house were William Fishwick a widower and his daughter Jane Alice aged 10. William`s wife had been Eleanor Hearsnep, who must have died in her 20s or early 30s. Mary probably married John Cottam in 1887 in the Blackburn district. Elizabeth probably married Edward Albert McIntyre in 1907 in the Blackburn district. Grace probably married William Crank in 1896 in the Blackburn district. James may have married Margaret Ann Tarmey, at Burnley district in 1898. Margaret was born in Barrowford near Nelson. Possible children shown below (T1790). The two younger girls were employed in the cotton industry. Also note the baptism of a Richard Hearsnape to Robert and Jane Hearsnape 20 August 1871 at Burnley. There is no obvious candidate for these three in the main Haresnape section so we have included them here. Richard perhaps belongs to family G. above. Margaret may have been named after Henry`s mother. She possibly was married (as Hersnip) to Thomas Howarth in 1895 at the parish church of St.James Church, Heywood. James (as Hersnip)married in 1879 at St.James Church (Church of England) in Heywood to Mary A.Ellison (born about 1858 in Heywood). There were at least three children born (T1800) from the union. They are in the 1901 census for Wigan with their family. He is listed as a cotton loom overlooker. He may have died aged 74 in 1934 in the Ormskirk district. William (as Hersnip) possibly married Sarah Ann Summersgill (born about 1861 in Heywood) at the nearby town of Bury in 1891.Sarah was in the 1901 census but William was not found there..
Mary died in infancy in 1879. Henry Herbert died as a child aged seven in 1877 at Audenshaw. Ella Hersnip married Joseph Ridings in 1898 at the Failsworth parish church of St.John the Evangelist. This is a few miles from Audenshaw, and close to Oldham, Lancashire. Eva married Ernest S.Wood in 1904 at St.John the Evangelist in Failsworth. Mary Ellen was born three years after the death of her father`s aunt Ellen, in Nelson, just a few miles away. Perhaps she was named in memory of her aunt Ellen? It is understood Mary Ellen did not marry. Mary 1880 probably died in infancy. Mary 1894 also died in infancy in 1894. Jane 1897 also died in infancy in 1897. The family relocated to the Wigan area after 1898, for here in 1906, Harry Hersnip (a cotton mill warehouseman) married Alice Carr at the parish church of St.James (and Thomas) at Poolstock, Wigan. There were several children from the union (T1870)..
James Hersnip appears in the 1901 census for Wigan aged 14, and working underground as a coal miner labourer. He married Sarah Carr in 1908 at the parish church of St.Thomas, Wigan. Nellie also married here in 1919. T1870. Harry Hersnip b. 1907 Pemberton, nr Wigan, Lancashire. Horace was somehow connected to the famous Lancashire comedian Frank Randle. There were other Hersnip children born in the Wigan area later than 1908. In summary, the earliest records of the spelling HEARSNEP occurred in the early 1700s in Lancashire and were associated with the main Haresnape family tree at Cockerham. The two records concern brothers who were Catholic. About 80 years passed before the next occurrences of the name (in Lancashire). Records are quite good from about 1830 onwards. As explained before, the surname firmed down to Hearsnep/Hearsnip in about 1800 or so. The Hearsnep surname may have originated in the general area of Aughton, Lancashire. It may have been associated with the foundation of the Roman Catholic Church at Prescot Road, Aughton. (but see below). The family were mostly farmers at that time, and seem to have maintained that way of living over the years. (their supposed Haresnape cousins, also from this Aughton area) had migrated Northwards and had changed to bobbin-making by then). Similarly, as per the Haresnapes, there was somewhat of a drift to the cotton towns where other employment was available. Some of the Hearsneps certainly were Catholics, two of them becoming priests, and two became religious sisters (I am including the nun in Canada). There were, it seems about two or three family units in the Aughton area of Lancashire in about 1800. By 1901 in Britain there seem to have been only three married Hearsnep families remaining, one in Liverpool, one in Blackburn and the other in the Whittle le Woods area. The other male Hearsneps were unmarried. n.b. A Miss Hearsnep (Christian name unknown) died in Whittle Le woods in 1946. There is a mention of a “Carlton House” in the newspaper article, which is opposite St.John`s Church. A Hearsnep was living at Carlton House in 1918. Also in 1918 a newspaper article advertises for rental the large 5 bedroom “HighCliffe” house in 2 acres of land. This property which is also opposite St.John`s Church still exists today (2015) and is a Residential (Rest Home). These two former properties Carlton and HighCliffe were situated close to one another. The same? Mr.W.Hearsnep is recorded in 1920 in connection of sale of Carwood Farm at Whittle. This farm still exists today in Carwood Lane (2015). As more records (hopefully) appear, the descent from Roger Haresnape down to the Hearsneps at Aughton will be proven one way or the other. The generations down from Roger to William 1778 and Mary 1781 (both Harsnepe) baptised at St.Thomas, Melling are strong. The connection between the latter two and the Hearsneps born about 1800 have not been proven. The Hearsneps who were Roman Catholics in the Aughton area most likely worshipped at the New House Chapel, Prescot Road, Aughton (now known as St.Mary`s). The records for this church have been examined for the period 1798 to 1856, and the Stock family who are linked to the Hearsneps had many of their children baptised there; for example James and Grace Stock`s child Edward was baptised here in 1816. (other Stock baptisms in this church were the children of John, William, and also Marjery as Rawlinson). It is also thought that James`s brother Peter married Margaret Hearsnep in nearby Ormskirk, Lancashire in 1823 (see above in 9th generation). James Stock and his family are understood to have emigrated to Canada in 1830, one of James`s descendants to marry a Hearsnep girl there. Thus we are building a stronger case for links between the Hearsneps and the Stocks in Lancashire, England prior to emigration. In the years 1800 to 1850 the families appear to be centred somewhere close to Aughton. However, the Church Records for St.Mary`s have produced no Hearsnep baptisms, confirmations nor marriages which can be seen as conclusive. This seems a little odd, as Hearsneps are known to have been born in the Aughton area in the early years of the 1800s. Some of these were Catholics, and on death, several of them were given burials in the neighbouring Aughton Church of England churchyard (St.Michaels). We may assume that the Hearsneps (for some reason) used another Catholic Church for these baptisms etc. nb. This has now been identified as St.Anne`s Church in nearby Ormskirk. Despite the above, it is also credible that William Hearsnep may be William Haresnape born 1812-ref 1190, see discussion in Part 2A of main files.